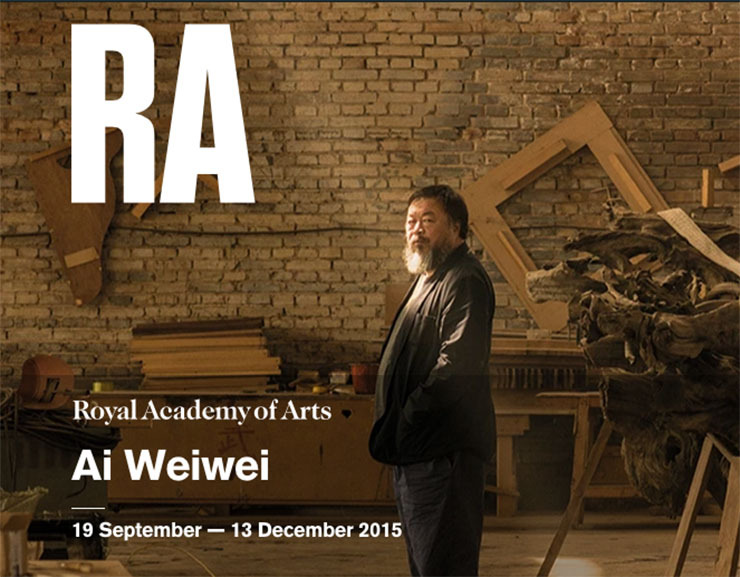 My review of Ai Weiwei’s exhibition at The Royal Academy of Arts focuses on Ai as a political artist. It is an obvious thing to do – Ai Weiwei is an activist artist. Not an activist or an artist, but both. For me it is important to underline this point because many theorists, and also artists, seem to be afraid of this fusion, of joining art and politics. I can understand artists being afraid of their art being used in someone else’s scheme. But for us, the public, it is important to see art as part of a bigger picture, not solely as a statement from a singe individual regarding his or her life, but as a comment upon our shared world. I’m just about to start working on expanding and strengthening my review of Ai and making the text into an essay. Recently I have been examining my thoughts and ideas on the work of Ai in the light of some great texts written by Charles Simic. Heidegger made my own intuitions about the philosophical ambitions of modern poetry clear to me. The other appeal of Heidegger was his attack on subjectivism, his idea that it is not the poet who speaks through the poem but the work itself. My poems (in the beginning) are like a table on which one places interesting things one has found on one’s walks: a pebble, a rusty nail, a strangely shaped root, the corner of a torn photograph, etc., … where after months looking at them and thinking about them daily, certain surprising relationships, which hint at meanings, begin to emerge. These objets trouvés of poetry are, of course, bits of language. The poem is the place where one hears what the language is really saying, where the full meaning of words begin to emerge. That’s not quite right! It’s not so much what the words mean that is crucial, but rather, what they show and reveal. The literal leads to the figurative, and inside every poetic figure of value there’s a theatre where play is in progress. The play is about gods and demons and the world in its baffling presence and variety. There are so many ideas in this short quote that I find exciting – also related to visual art, for example this: The literal leads to the figurative, and inside every poetic figure of value there’s a theatre where play is in progress. I think this is true for visual art as well. The means and devices might be different, but the play is what matters – play of possibilities, play of menings. And also this: in a world where self-centeredness is seen as a virtue, where we tend to idolize the few, I’m really interested in finding out where this Heidegger’ian attack on subjectivism can lead us. Charles Simic is a poet, essayist, and translator. Charles Simic was born in Yugoslavia on May 9, 1938. His childhood was complicated by the events of World War II. He moved to Paris with his mother when he was 15; a year later, they joined his father in New York and then moved to Oak Park, a suburb of Chicago, where he graduated from the same high school as Ernest Hemingway. 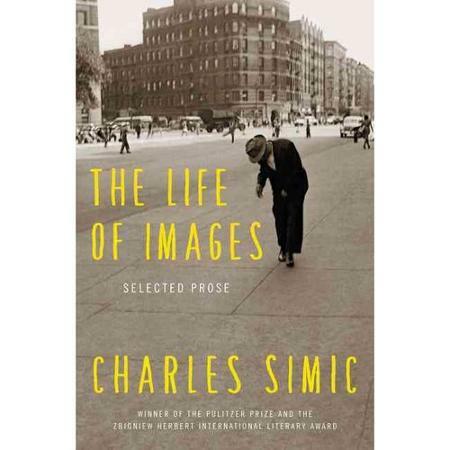 Simic attended the University of Chicago, working nights in an office at the Chicago Sun Times, but was drafted into the U.S. Army in 1961 and served until 1963. He earned his bachelor’s degree from New York University in 1966. From 1966 to 1974 he wrote and translated poetry, and he also worked as an editorial assistant for Aperture, a photography magazine. He married fashion designer Helen Dubin in 1964. They have two children. He has been a U.S. citizen since 1971 and lives in Strafford, N.H. I agree about the literal leading to the figurative and starting from the concrete. It’s all in the details. Two or three things rubbing up against each other to create meaning. Exciting to see your essay in progress. I haven’t read that book of Simic’s. Now I must search it out. Thank you! It is a collection of texts already published elsewhere so you might already have read some of them before. I really like the His style, and the way he writes with a light hand on very complicated matter.